He could have fooled me that he is, in fact, an immunologist! 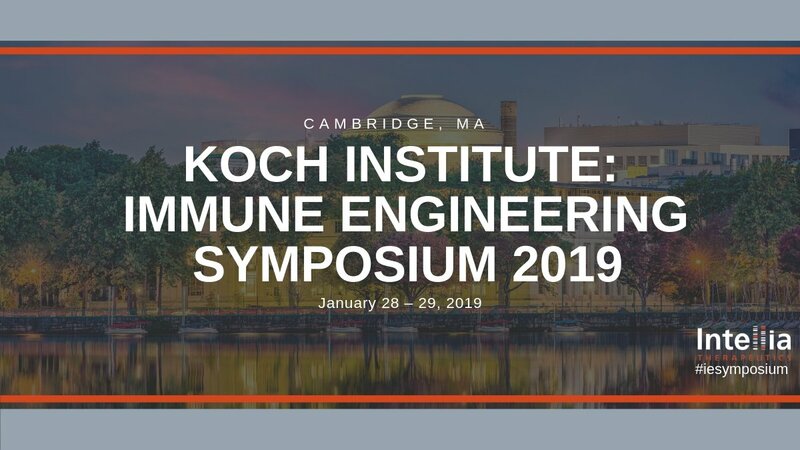 excited to attend the @kochinstitute @MIT immune engineering symposium #iesymposium this week! 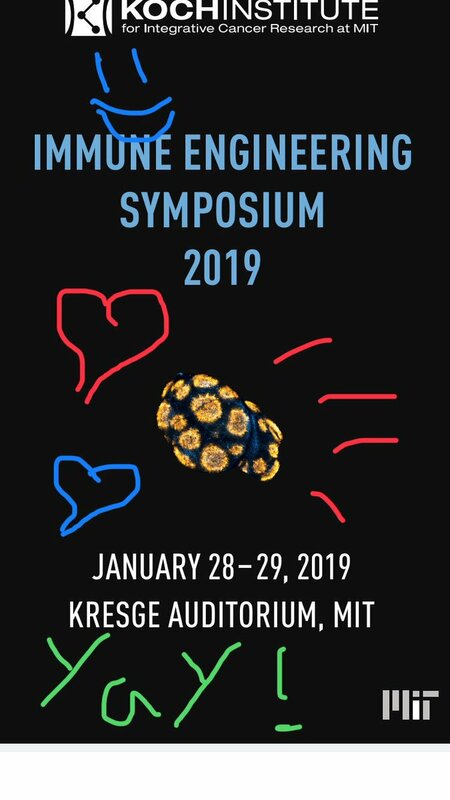 find me there to chat about @CellCellPress and whether your paper could be a good fit for us! 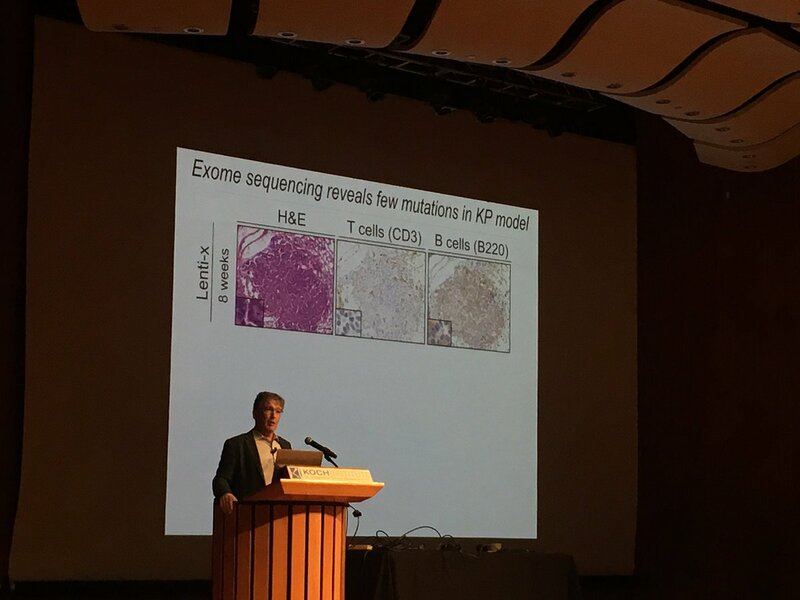 My boss, @kochinstitute director Tyler Jacks, presenting beautiful, unpublished work at our 3rd #iesymposium. 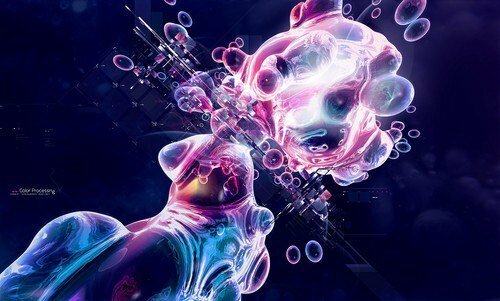 MISSION The mission of the Koch Institute (KI) is to apply the tools of science and technology to improve the way cancer is detected, monitored, treated and prevented. 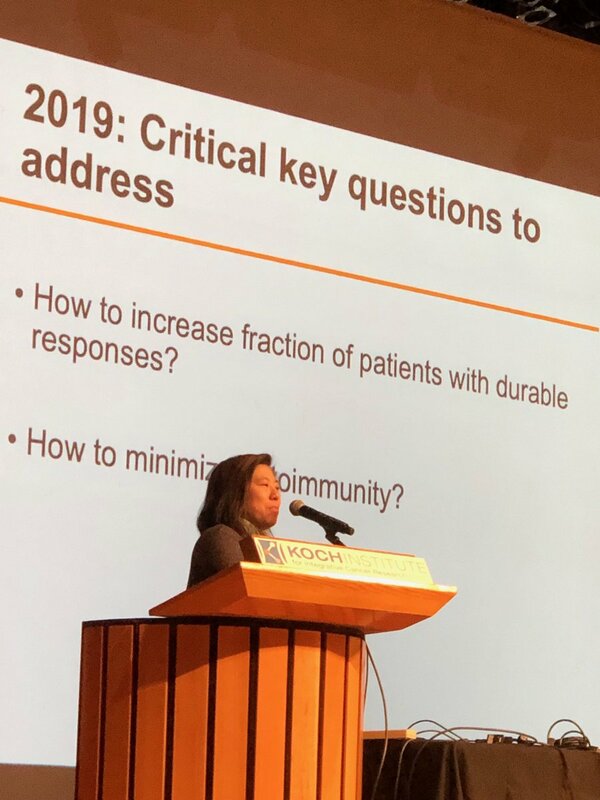 APPROACH We bring together scientists and engineers – in collaboration with clinicians and industry partners – to solve the most intractable problems in cancer. 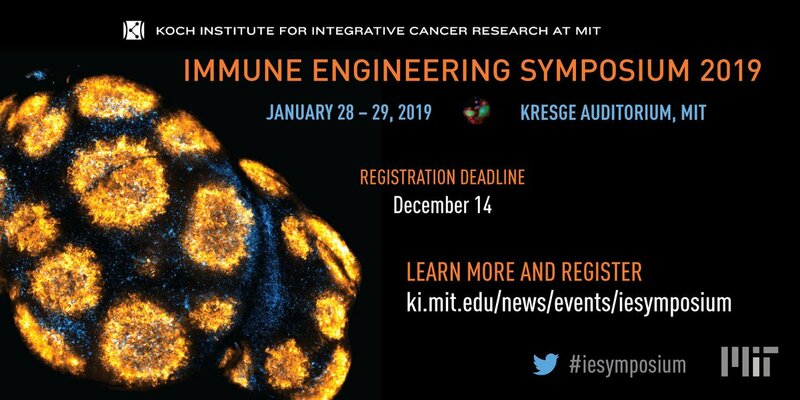 Leveraging MIT’s strengths in technology, the life sciences and interdisciplinary research, the KI is pursuing scientific excellence while also directly promoting innovative ways to diagnose, monitor, and treat cancer through advanced technology. HISTORY The Koch Institute facility was made possible through a $100 million gift from MIT alumnus David H. Koch. Our new building opened in March 2011, coinciding with MIT’s 150th anniversary. 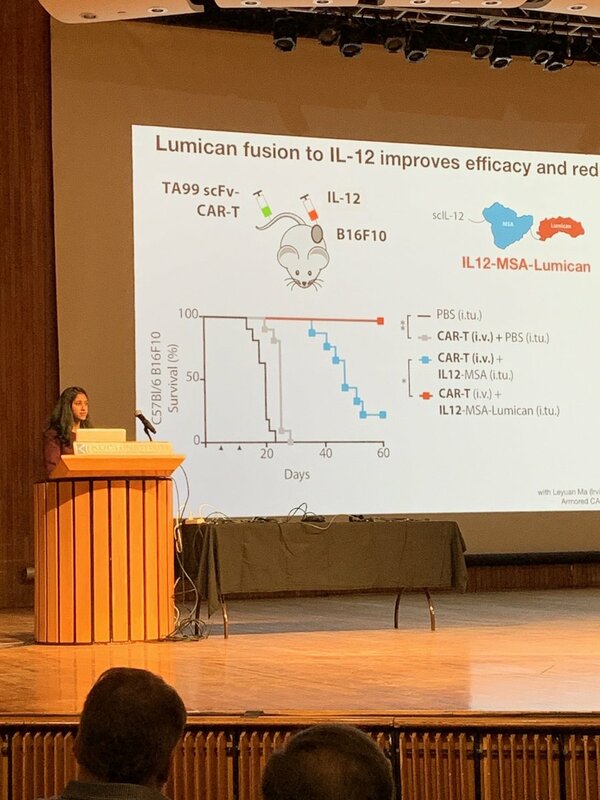 Our community has grown out of the MIT Center for Cancer Research (CCR), which was founded in 1974 by Nobel Laureate and MIT Professor Salvador Luria, and is one of seven National Cancer Institute-designated basic (non-clinical) research centers in the U.S. Biological, chemical, and materials engineers are engaged at the forefront of immunology research. At their disposal is an analytical toolkit honed to solve problems in the petrochemical and materials industries, which share the presence of complex reaction networks, and convective and diffusive molecular transport. 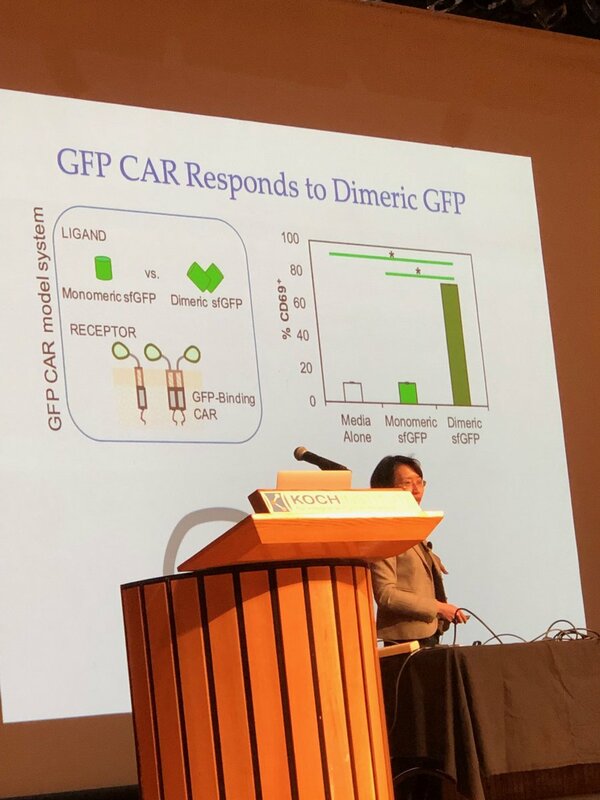 Powerful synthetic capabilities have also been crafted: binding proteins can be engineered with effectively arbitrary specificity and affinity, and multifunctional nanoparticles and gels have been designed to interact in highly specific fashions with cells and tissues. 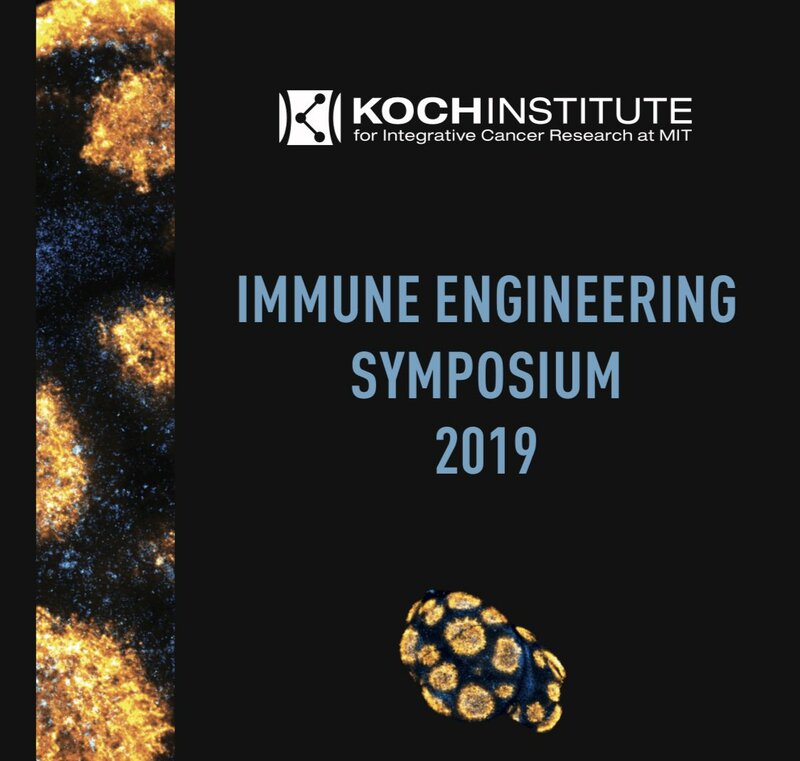 Fearless pursuit of knowledge and solutions across disciplinary boundaries characterizes this nascent discipline of immune engineering, synergizing with immunologists and clinicians to put immunotherapy into practice. 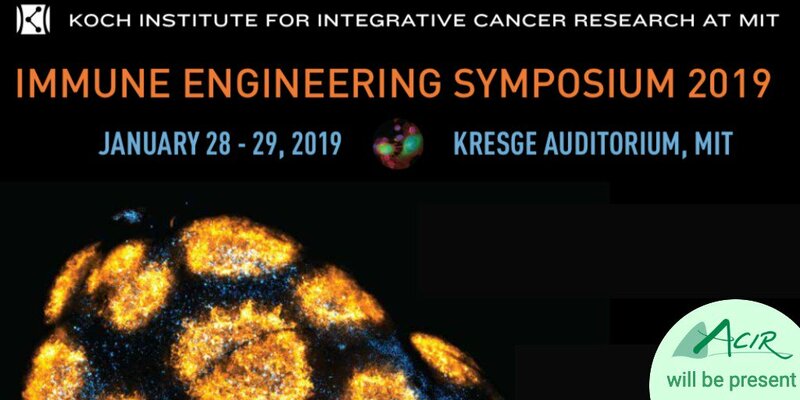 The 2019 symposium will include two poster sessions and four abstract-selected talks. Abstracts should be uploaded on the registration page. Abstract submission deadline is November 15, 2018. Registration closes December 14. TB – who develop Active and why? The mesenchyme develops into the tissues of the lymphatic and circulatory systems, as well as the musculoskeletal system. This latter system is characterized as connective tissues throughout the body, such as bone, muscle and cartilage. A malignant cancer of mesenchymal cells is a type of sarcoma. Hepatitis B virus can cause serious, long-term health problems, such as liver disease and cancer, and can spread from mother-to-child during delivery. According to the latest estimates from the World Health Organization (WHO), approximately 257 million people in 2015 were living with the virus. Countries in Asia have a high burden of hepatitis B. There is no cure, and antiviral drugs used to treat the infection usually need to be taken for life. To prevent infection, WHO recommends that all newborns receive their first dose of hepatitis B vaccine within 24 hours of delivery. Infants born to hepatitis B-infected mothers are also given protective antibodies called hepatitis B immune globulin (HBIG). However, mother-to-child transmission can still occur in women with high levels of virus in their blood, as well as those with mutated versions of the virus. Tenofovir disoproxil fumarate (TDF), an antiviral drug commonly prescribed to treat hepatitis B infection, does not significantly reduce mother-to-child transmission of hepatitis B virus when taken during pregnancy and after delivery, according to a phase III clinical trial in Thailand funded by the National Institutes of Health. The study tested TDF therapy in addition to the standard preventative regimen — administration of hepatitis B vaccine and protective antibodies at birth — to explore the drug’s potential effects on mother-to-child transmission rates. The results appear in the New England Journal of Medicine. The present study was conducted at 17 hospitals of the Ministry of Public Health in Thailand. It screened more than 2,500 women for eligibility and enrolled 331 pregnant women with hepatitis B. The women received placebo (163) or TDF (168) at intervals from 28 weeks of pregnancy to two months after delivery. All infants received standard hepatitis B preventatives given in Thailand, which include HBIG at birth and five doses of the hepatitis B vaccine by age 6 months (which differs from the three doses given in the United States). A total of 294 infants (147 in each group) were followed through age 6 months. Three infants in the placebo group had hepatitis B infection at age 6 months, compared to zero infants in the TDF treatment group. Given the unexpectedly low transmission rate in the placebo group, the researchers concluded that the addition of TDF to current recommendations did not significantly reduce mother-to-child transmission of the virus. According to the study, the clinical trial had enough participants to detect statistical differences if the transmission rate in the placebo group reached at least 12 percent, a rate observed in previous studies. Though the reasons are unknown, the researchers speculate that the lower transmission rate seen in the study may relate to the number of doses of hepatitis B vaccine given to infants in Thailand, lower rates of amniocentesis and Cesarean section deliveries in this study, or the lower prevalence of mutated viruses that result in higher vaccine efficacy in Thailand compared to other countries. Are Batf3-DC within the tumor required for the recruitment of effector T cells? PRODUCTION OF HUMAN RED BLOD CELLS EXPRESSING A FOREIN PROTEIN: CD34+ stem/progenitor cells that generates normal enucleated RBC. SYstemic Immunity and environment (temperature) on response to checkpoint blockade – what is the role?